Even though I'm Jewish, my Dad is Catholic. Yet although part of my family might still celebrate, I do still feel alienated from the general spirit of the shindig. First of all, I would largely encourage acquiring the bitter morale where "Christmas is a consumerist 21st century capitalist endeavour of large enterprises to brainwash and make you spend doodadiffities of money on heartless gifts" and spam the whole of Twitter with other Grinch-worthy complaints. Second of all, accept that in your heart of hearts you sort of wish you could shamelessly bake (and eat, of course) Christmas cookies. But wait, you can. If you're Jewish like I am, bake Maguen David cookies. If you're Hindu, bake Ohm cookies. Let's all dance and bake and ignore that this is culture appropriation at its most absurd. THIRD, if the "consumerist capitalist brainwashing conspiracy" tantrum was not enough, then go on an ECOLOGY rant. Christmas lights! Christmas packaging! Christmas decorations! So much energy and garbage created for the sake of holiday happiness! Fourth, do read How the Grinch Stole Christmas. And when you're done with that, read The Bell Jar, just in case The Grinch's positive ending fooled you into thinking that the World is a place worth living in. Fifth, dress up as Greta Garbo, smoke a cigarette, and swish martinis 'till your head spins. Because martinis is probably the only drink that beats eggnog, has less calories, and, who knows, maybe you won't even be able to smell the cinnamon ever-present in the air since November over the smell of your drunken vomit. Finally, here: Envy and all of its side-effects are only going to affect you negatively. 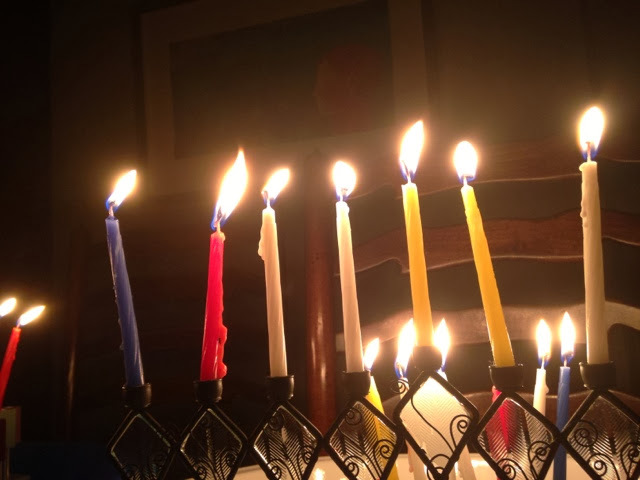 Take full pride in your own particular traditions and celebrate them, be them Jewish, Buddhist, Hindu, Islamic, Scientologist, Atheist, or Agnostic. If you would really like to participate in Christmas festivities, do; ask a friend to invite you to their dinner, or do one yourself (nobody's going to punish you, especially considering that this celebration for many has become almost a secular thing.) And if you don't want to, then take this as an opportunity to do other fun non-Christmassy activities. Have a dinner of your own with your family, a game-night, a movie night, get wasted, whatever. I take infinite pride in my own cultural background; there is no way a very well marketed celebration is going to sour it. Nuh-uh! If everyone else is celebrating, then we should too! I love the way you write. You're hilarious!